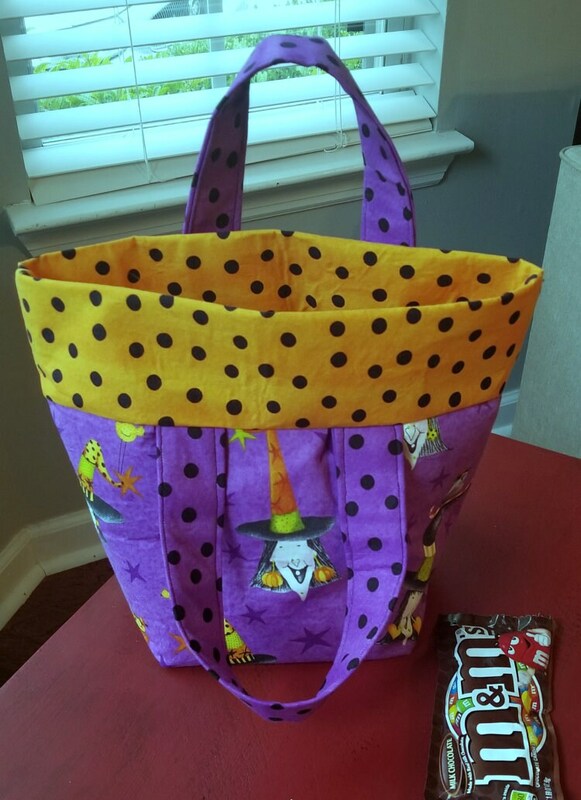 Perfect bag for your little trick or treater. 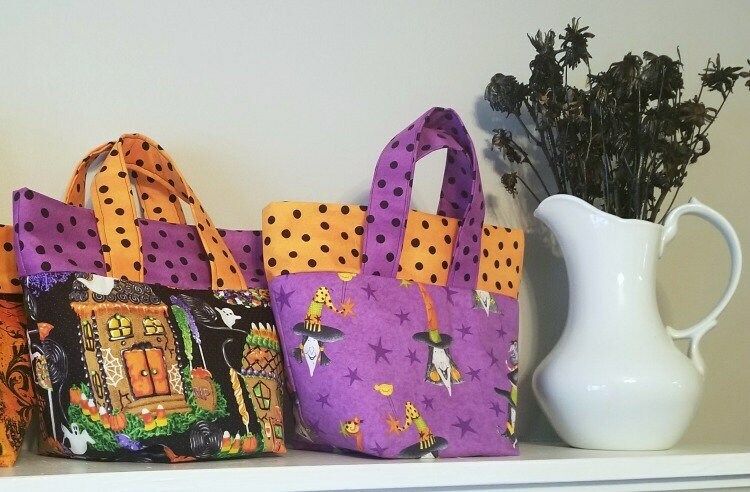 Fabric bags can be used year after year. 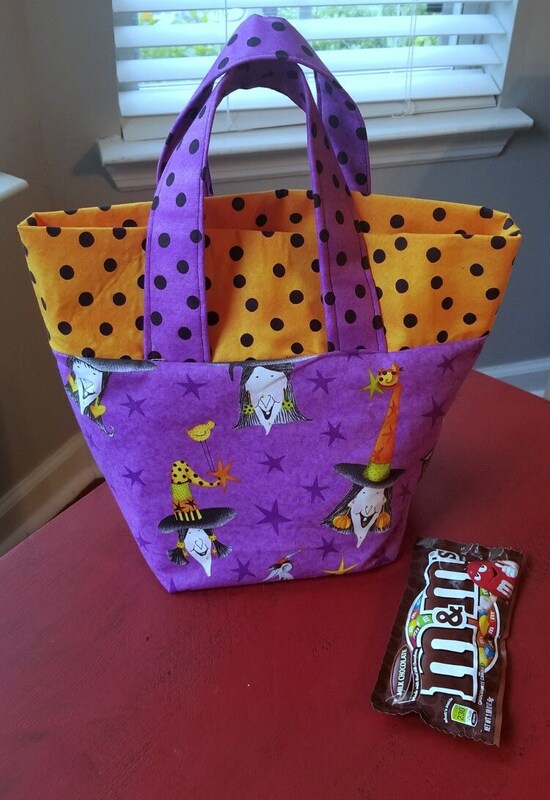 Use for trick or treating or as a small tote bag. Would make a great purse for the season or for attending parties. 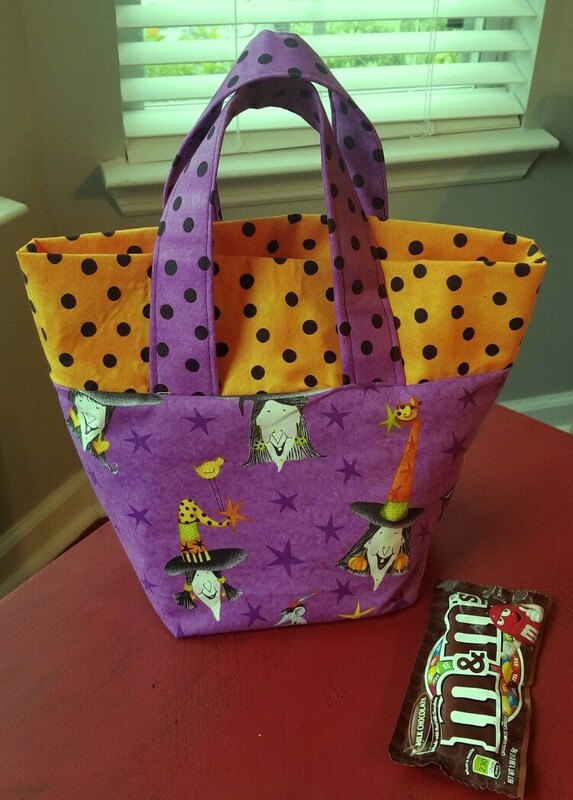 Bags are made with fun halloween fabric in 100% cotton and are lined. Interfacing has been used for extra durability. Bags have 2 durable straps for easy carrying. 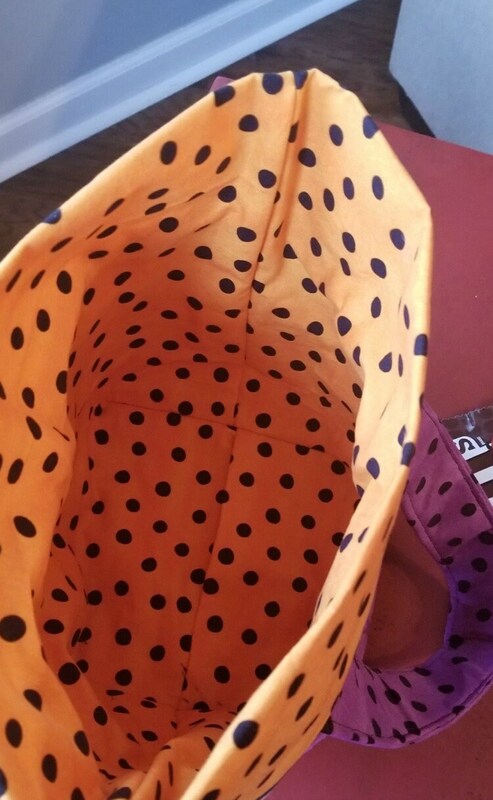 Your bag will stay open to see what's inside when you sit it down, and it will close nicely when you pick it up to carry it away. Pattern design by hem me in.